In the fashion capital of the world, the 3-bedroom Cerva apartment in Milan’s Duomo neighborhood combines style, history, and fun. This central neighborhood is known for medieval architecture such as the Duomo Cathedral (10 min walk), the third-largest cathedral in the world. 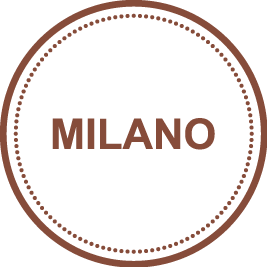 Tour Milan’s many museums, such as the world-famous Brera Gallery (15 min walk) and the Sforzesco Castle (25 min walk). Stock up on designer clothes at the dozens of clothing stores within 2 minutes of the apartment. Multiple bus stops and the San Babila Metro station are just around the corner. Inspired by Milan’s fashion-forward aesthetic, our local designer has created a space that is truly one-of-a-kind. Fanciful carpeting, wall decals, and whimsical shades of pink and blue liven up the apartment. Prepare an Italian meal in the state-of-the-art kitchen or relax on the charming balcony. 3 plush bedrooms can comfortably accommodate a total of 8 guests. Premium amenities include free WiFi, cable TV, high-end toiletries, hotel beds and linens, and a Nespresso machine. Ideal for families or groups of friends, this apartment is an unique, funky introduction to Italy’s most stylish city.